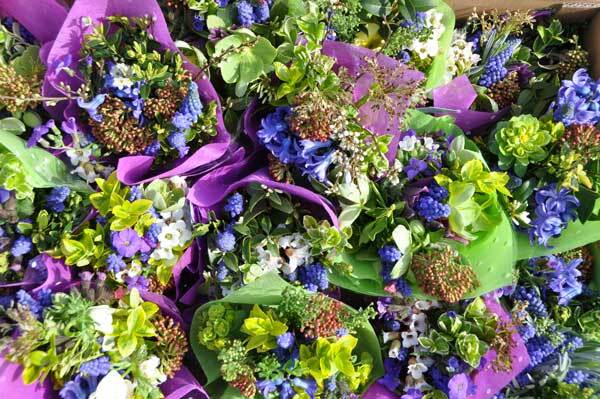 Enterprising Yorkshire farmers have announced a new marketing co-operative enabling farmers and smallholders to fight back against the high volumes of imported flowers sold in the UK. Scenting an opportunity to support the British cut flower sector, Gill and Peggy Hodgson, fourth generation farmers from Everingham, East Riding, launched the co-operative; Flowers from the Farm Ltd – after successfully growing and selling flowers on spare land at their 200 acre arable farm and, recognising the potential for others to do the same. 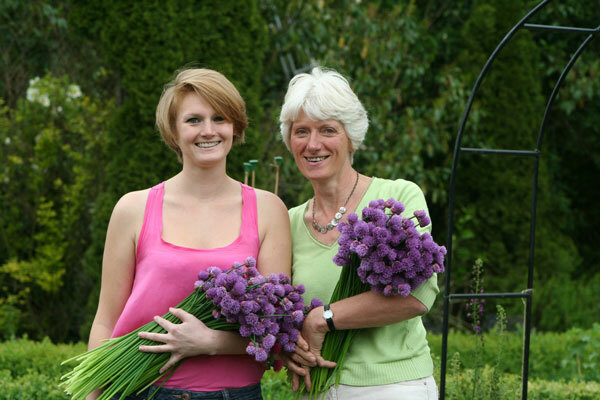 Setting up as a co-operative with advice from The Co-operative Enterprise Hub, which aims to help to ‘create a co-operative a day’ during 2011, the mother and daughter duo are now talking to interested growers across the UK who need just half an acre of spare land to get started. Gill Hodgson said: “One of the problems is that people have tended to forget about seasonality. Alarmingly, only around ten per cent of flowers sold in Britain today are grown in the UK whereas, twenty years ago it was almost half. “However, with an increase in people moving to greener lifestyles is coming an increase in the popularity of traditional British flower varieties. Flowers from the Farm Ltd is a not-for-profit co-operative. 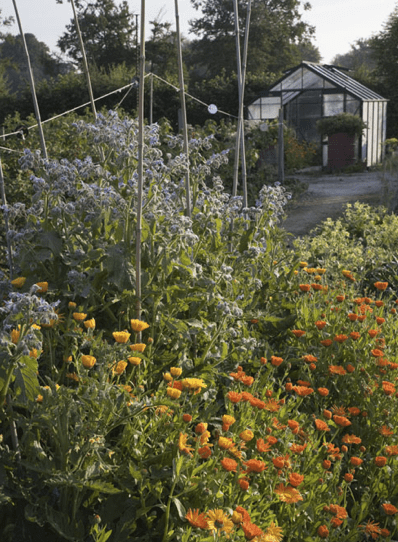 With very low overheads, it will be owned and run by its members and aims to encourage more farmers and smallholders to grow flowers for cutting. It will work to identify local markets and, promote and support the resurgence of traditional British flowers. It hopes to attract over 200 members and, ‘founder members’ joining before the end of 2011 will enjoy a life-time discount. Gill Hodgson concluded: “The move to local production has already taken place in the food industry but flowers are still being transported thousands of miles across the world – even when the same varieties are available in season in Britain! “We believe our co-operative of small growers can succeed where other business models have failed, we will grow specialist varieties that do not travel well; sweet peas, zinnias, cosmos, ranunculus and many more that are not imported because of the difficulty in transporting them. The Co-operative Enterprise Hub – For further information about member-owned enterprises, and the advice, support and finance available to set-up, run and grow sustainable co-operative enterprises. Old fashioned roses, Mediterranean plants and exotics for the conservatory. 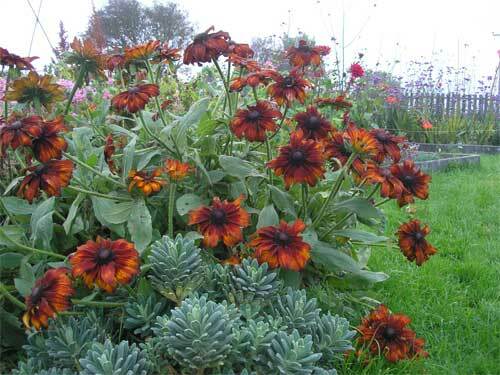 Flowering shrubs, perennials suitable for both the border and for cutting, herbs and annuals. Hanging baskets and containers, planting plans and plant sourcing, wedding lists with a difference, courses and gift vouchers all part of the service. Join them at the open weekend for a glass of bubbly, register for a loyalty card and have a chat about the blooming season ahead. Kilcoan Gardens is a recently established business, growing & arranging cut flowers in Co Antrim, Northern Ireland. Cherry Townsend took up gardening as a hobby about 12 years ago, after her son was born. This hobby soon turned into an obsession and a few years ago Cherry decided that she would like to be able to earn a living from her love of flowers. Inspired by an article in Country Living magazine about Jane Lindsey at Snapdragon Gardens in Scotland, Cherry set about converting some of her parents land into her dream business and Kilcoan Gardens was born. Their old shetland pony was swiftly moved from the prime spot and Cherry started planting. She was fortunate to have an extensive mature garden in situ of 2 acres, featuring a wide range of shrubs and perennials. With plenty of material to propagate from, the gardens soon started to bloom. A mild maritime climate on the peninsula of Islandmagee (but with plenty of wind!) means considerably less frost than inland, so flowers like dahlias continue for several weeks longer than in gardens further from the coast. website, Cherry hopes to be delivering freshly cut, locally grown flowers throughout Northern Ireland very soon. Everything at Kilcoan Gardens is seasonal and tended by Cherrys’ own hand. 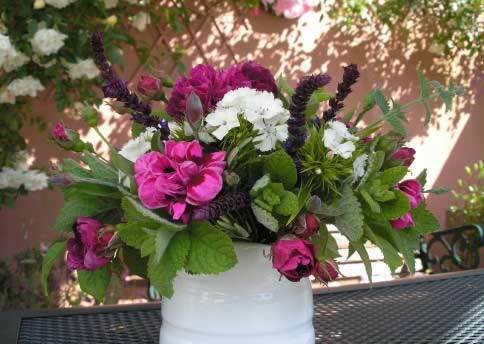 The extensive range includes; annuals, perennials, herbs, roses and cut flower foliage and berries. Fresh cut flower arrangements, range from hand tied posies to larger bouquets. Kilcoan Gardens also sell organically grown perennials and herbs. Seasonal Christmas products include; wreaths, table arrangements and narcissus and iris bulbs which have been forced for a beautiful indoor display. Seasonal arrangements are also available for Mother’s Day and Easter. All enquiries are welcome, with mail order flowers available soon. Kilcoan Gardens take pride in being environmentally aware and use recycled materials and packaging wherever possible. Green and Gorgeous are small-scale cut flower growers based on an organic farm in Oxfordshire, and offering a full on-site bridal consultation service. All the flowers are grown organically alongside vegetables, fruit and chickens! After growing and selling organic vegetables for many years. they realised that the same could be done with flowers, as they accumulate just as many air miles and use even more chemicals. 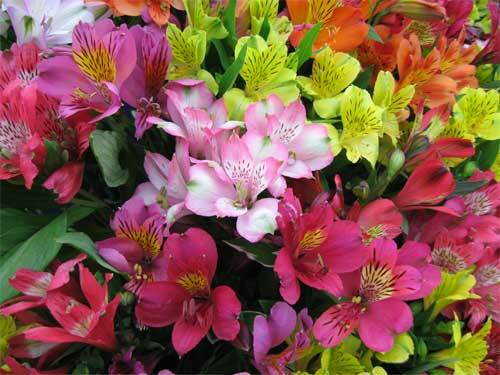 A wide range of flowers and foliage is grown to ensure all the ingredients for a bouquet throughout the seasons. Growing this range of plants is good organic practice, promoting healthy soil and preventing pest and disease build up. Green & Gorgeous, specialise in growing traditional, English country garden flowers which are selected for their colour, scent, vase life, novelty and nostalgic value. Flowers are picked early in the morning, conditioned and stored in a cold room for at least 24 hours prior to delivery. Visit the Green & Gorgeous website for more information on availability, farmers markets, bridal consultations, vase hire and seasonal bouquets. The English Flower Company has been buying and collecting from English growers for two years now and selling to florists where they can. Only English grown flowers are selected on either the day they are cropped or the day after at which time they will also be delivered to customers. They are the freshest flowers possible, having travelled no more than 50 miles. There’s no delivery charge and no VAT either. Occasionally travel to London takes them to Moyses Stevens and Hayford and Rhodes, two florists keen to promote British flowers. Most of the growers are in Lincolnshire, are very professional and supply top quality flowers. The range through the year is fantastic including Phalaenopsis Orchids (stems and plants), Cymbidium stems and plants, Dendrobium stems and plants, Anemones, Ranunculus, Chrysanthamum blooms, Molucella, Alstroemeria, Lupins, Peonies and many many more. The English Flower Company are proud to be helping local businesses and keeping to a minimum their carbon footprint. They started simply with a van one day, looking around their area for large glasshouses. It didn’t take long before they found one and then another and so on. “Our decision to start selling English flowers was really a matter of circumstance. Leaving a job in London, to avoid the commute and looking for a more family friendly lifestyle. At the same time my wife got friendly with a wholesaler who delivered flowers to the florists where she worked. He was giving up the business and told her each week a little more about what was involved, the thinking being that we might be interested in buying his goodwill etc. So, with that in mind, and coincidentally, the proximity of our new home very close to the towns of Spalding and Holbeach, where there are a good number of both big and small growers, we decided to give it a go”. Martyn and his wife decided that they would only sell British flowers because they wanted to buy flowers at their freshest and best and to build up good relationships with the respective growers. They felt that there might be a gap in the market for British flowers and were encouraged by a programme on tv, produced by Sarah Raven of Gardeners World. She took over a florist shop for the day and stocked one side with English flowers and the other with imported flowers. By far the most popular were the English flowers, offering seasonality and better scents. All the larger growers they know are very keen to sell to them. Some sell millions of flowers to supermarkets, so to sell to a company on a much smaller scale involves a lot of extra work, or rather time they would otherwise spend completing what are sometimes quite long production lines. Others are smaller producers, often a family business which has been passed down over the years. It is however getting harder for these smaller growers to carry on with their businesses as it is hard work for a relatively small return which is also not guaranteed. Martyn feels that the three issues facing flower production in Britain are the cost of production, (heat and light) is now unsustainably high. The second is that the selling price has not gone up for a number of years, even though the cost of productio has risen considerably. To compound these two, Government legislation encroaches more and more on growing techniques. One grower he spoke to recently has admitted that he cannot now afford to comply with recent legislation with regard to the control of weeds. Quite simply, what the government says he must do would make it completely unviable for him to continue. With the growers problems in mind, it appears they might be desperate for sales but like many British businesses, they each have their place in the market and hold on to that tentatively as best they can. In the last year the effect of the recession has been obvious, with two florists in the area closing down and one continuing to trade from home. The main hurdle is the inability to compete with supermarkets selling flowers cheaply. The English Flower Company sells flowers to anyone who wants to buy them. From florists, to businesses, flower arrangers and friends and family. They would of course like to be able sell more but there is not the complete range available that florists need. Their current range includes, Daffodils, Tulips, Anemones and strangely, all types of the Orchid varieties. produced a series of notelets with their beautiful flowers as the theme. It is hoped that these notelets will be available via some of the leading retailers. 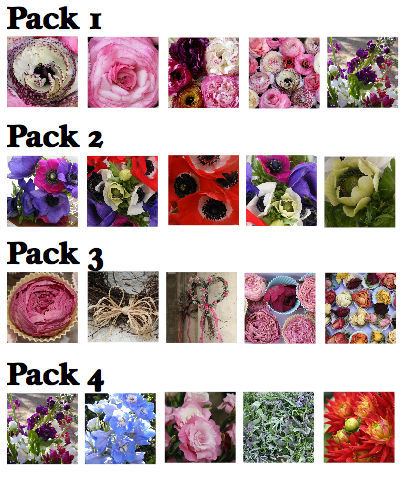 Currently available as four packs, each reflecting designs created from the British grown flowers of the seasons.